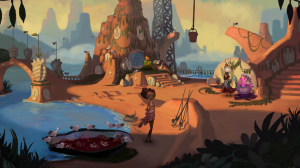 From Tim Schafer, the creative mind behind Psychonauts and Day of the Tentacle, Broken Age revitalizes the classic adventure game genre with a powerful narrative and storybook aesthetic. 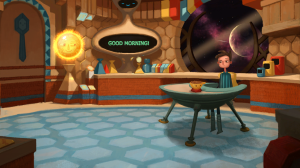 One of the most successful Kickstarter campaigns in the history of the platform, Broken Age’s story of traditions – and those who are brave enough to break them – has been critically lauded as a fantastic narrative-driven adventure on PC and Mac. Broken Age on OUYA will also mark the first time that players can purchase the first act as a stand-alone game. Players can purchase act one for $15 dollars and pre-purchase act two if they choose to continue their adventure. To learn more about Broken Age on OUYA, contact TriplePoint PR at ouya@triplepointpr.com or (415) 955-8500.